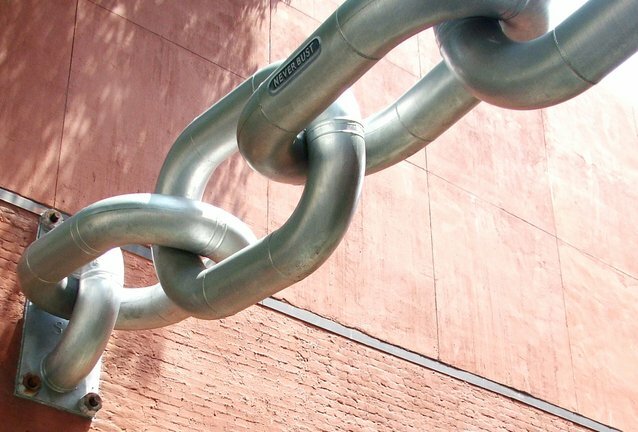 Establishing good quality back-links to your website though an SEO audit and link building activity is crucial to improving the credibility of your site. It’s one of the few ways that search engine spiders can tell if other people value your content. You can use an SEO audit tool to Identify what content gets linked to most so that you can prioritise your content marketing activities to ensure resources are targeted in the right areas. Care needs to be taken with SEO link building because Google can penalise anything that looks like link building for its own sake as the priority should be to create quality content that people want to share. Some SEOs use black hat techniques such as private blog networks(PBNs) to create high quality back links. However, if Google uncovers a PBN it will de-index the individual sites in the PBN and may also apply a thin content penalty to the site that the PBN’s points to. Your Google site ranking is of course determined by a number of factors such as citations, brand mentions and the quality of links. For a brilliant and comprehensive article on Show to do SEO link building read ‘The Complete List Of Link Building Tactics’ by Jon Cooper. Below I have summarised 22 of the top SEO audit and link building tools. I use SEOmator for producing automated audit reports as I find it especially easy to communicate the findings to my clients. The reports use AI to generate comprehensive and clear findings on how to improve the SEO performance of a site. It also offers a widget to provide a free audit report to embed on your own site to attract potential clients. I highly recommend this solution. 1. ahrefs: Claims to have the largest index of backlinks. It is updated every 15 minutes and is highly recommended for identifying the number of referring domains that a site has, how many of these come from unique IPs, and how natural is your link growth over time. Monthly plans range from $79 for Lite to £1,299 for Premium.7 day money back trial available. 2. Audisto: This is a tool to analyse websites and is able to crawl through millions of pages. The crawler can identify problems with the site structure, HTML code and technical issues, together with finding your most valuable pages and the best pages to link to and form. Monthly plans are based upon a sliding scale of the number of pages crawled. Plans start from €90 a month for up to 100,000 pages crawled, €120 for up to 1,000,000 pages, and go up to €1,590 for 50,000,000 pages. 3. 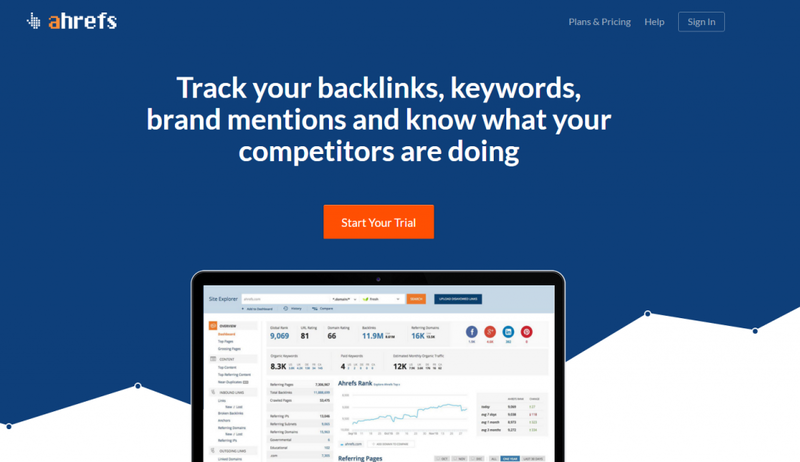 BuzzStream: A dedicated SEO link building site which allows you to import lists of websites for prospecting and provides useful data for deciding which websites you should target. It will provide the domain authority of a site and how many followers they have on Twitter. It also allows you to easily contact websites through BuzzStream. Monthly plans range from $29 for Starter to $249 for Premium. Free trial available. 4. 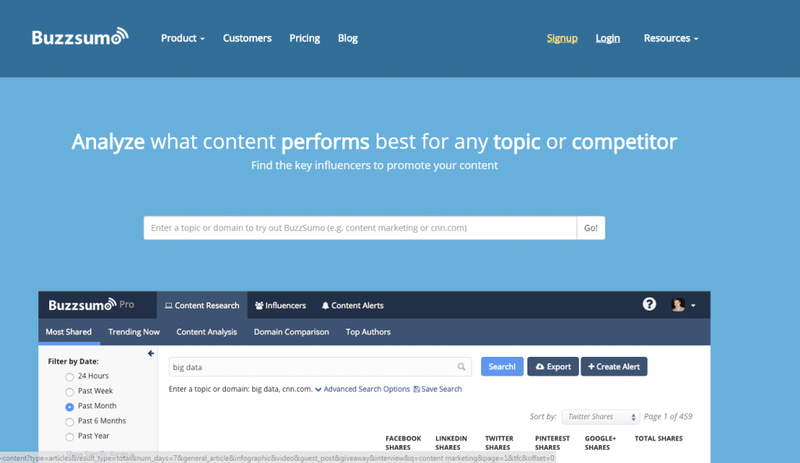 BuzzSumo: A comprehensive SEO and content marketing link building tool. It is invaluable for helping to identify the most shared content across all social networks and run detailed analysis reports. 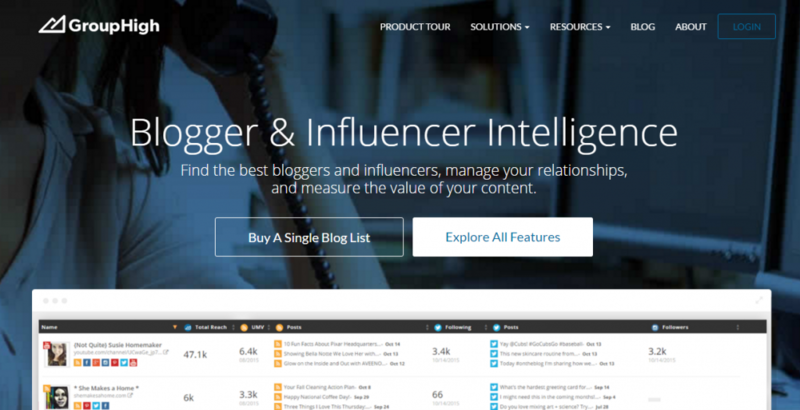 Find influencers in any new topic area, and review the content they shared. ideas for new content. The “Backlink” tab shows the social shares of the the most popular inbound links.Track your competitor’s content performance and do detailed comparisons. Monthly plans range from $79 for Pro to $239 for Agency. Contact BuzzSumo for Enterprise plans. 5. 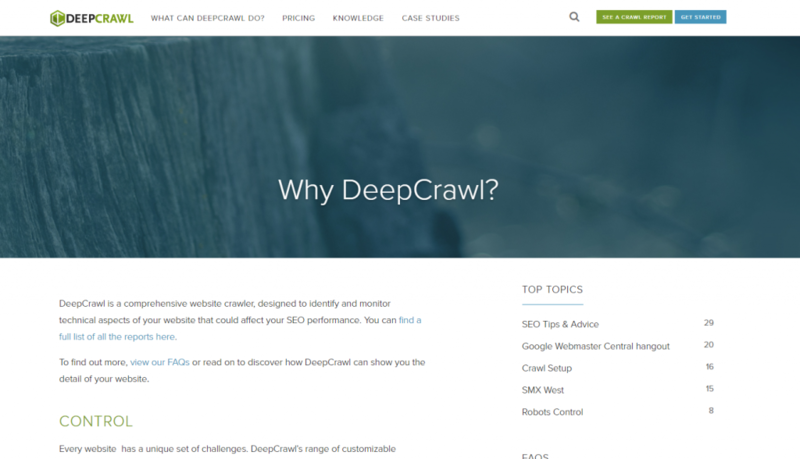 DeepCrawl: DeepCrawl is a comprehensive SEO audit and website crawler tool. This is designed to identify and monitor technical aspects that could affect your SEO performance. It is good at identifying duplicate pages, pages with meta titles that are too long, duplicate pages and pages that take too long to load. A highly recommended solution and currently available with a 20% discount for the festive season. Monthly plans range from £50 for Starter to £1,050 for Enterprise. 6. 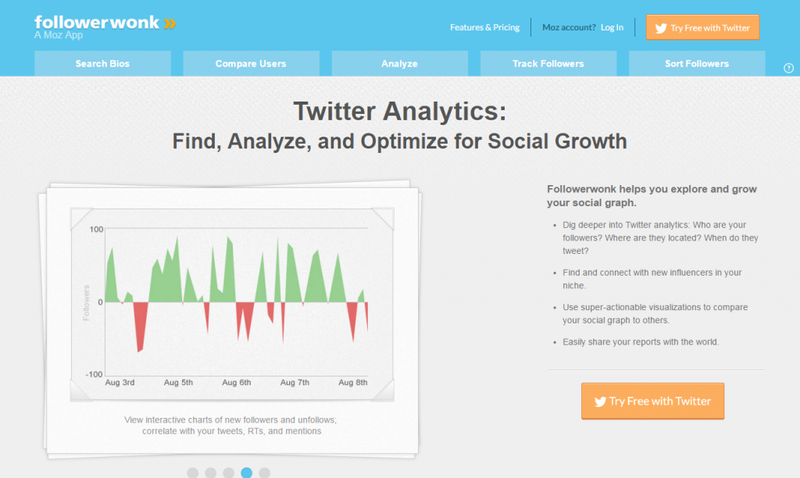 Followerwonk: A Twitter analytics app from Moz that you can use to find influential people by topic name, The app also allows you to compare users, analyse followers and sort users by name, days on Twitter, Tweet count and more. The analyse followers function enables you to segment users into a number of psychographic groups including gender, location, and Twitter activity. 30 day Free trial available. 7. 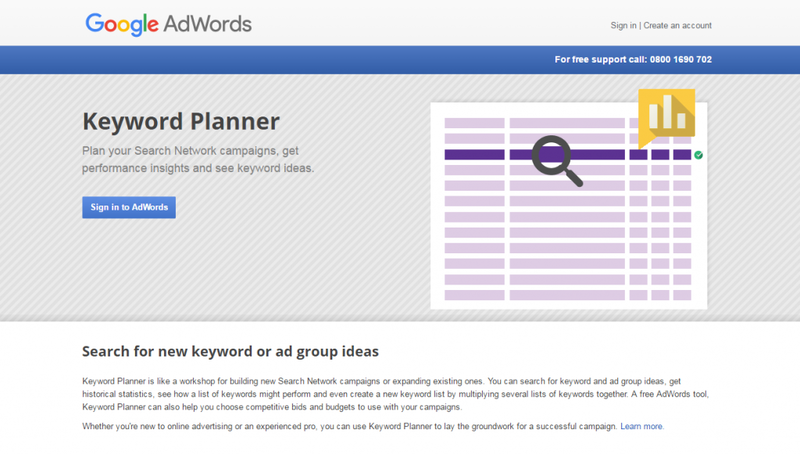 Google Adwords Keyword Planner: A Free tool from Google, Keyword Planner helps to build new search network campaigns or expanding existing ones. You can search for keyword and ad group ideas, get historical statistics, see how a list of keywords might perform and create a new keyword list by multiplying several lists of keywords together. 8. Google Search Console: A Free tool from Google. If you use Google Analytics it is simple to add Google Search Console to your account and start collecting data to identify how you can improve your SEO performance. You can find out more in the post how to use Google Search Console to boost conversions. 9. GroupHigh: A dedicated blogger outreach and influence management solution which is ideal for SEO link building. This is highly recommended for larger organisations as it is able to import URLs by the thousands and provide basic blog information, SEO/traffic metrics and social networking data. GroupHigh maintains an extensive database of bloggers that includes social media data. This means you can see what topics a blog covers, but also how many Instagram, Pinterest, YouTube, Twitter, Google+ and Facebook followers the blogger has. Annual plan starts from around £9,000, but discounts may be negotiable. 10. Inkybee.com: A comprehensive SEO link building tool with blogger outreach resource that enables you to find bloggers on any topic. Has a dashboard to track and manage your outreach. Includes a powerful search engine with advanced filtering, a blog discovery tool to identify more relevant blogs, a sophisticated list management tool to create all kinds of lists, a tool for analysing the influencers in your Twitter followers and a sector segmentation tool to find the details in your lists. Monthly plans start from $79 for In-house-team to $249 for Large team. Free 14 day trial available. 11. Keyhole: This is a social media analytics tool for monitoring posts on both Twitter and Instagram. As well as providing metrics such as posts, impressions and reach, Keyhole also gives you share of posts, geolocation, demographics and includes an advanced influencer filtering table. 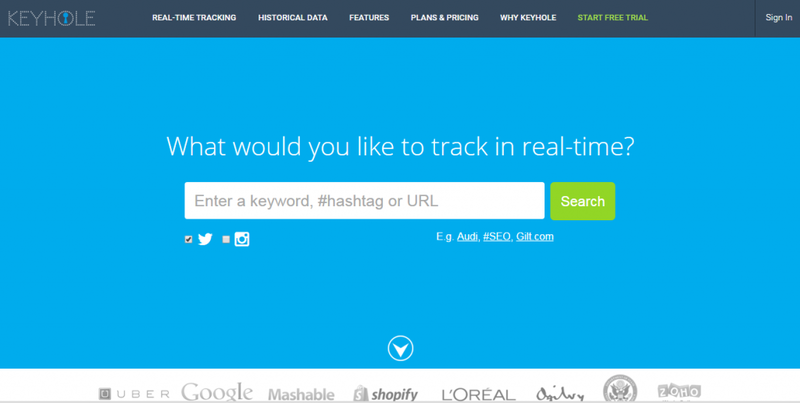 Keyhole offers a week’s sample of Twitter data for Free. Paid plans start from $129 a month for 3 concurrent trackers and up to 50,000 posts on Twitter and Instagram. The Corporate plan costs $449 a month and offers up to 10 concurrent trackers and 100,000 posts. 12. 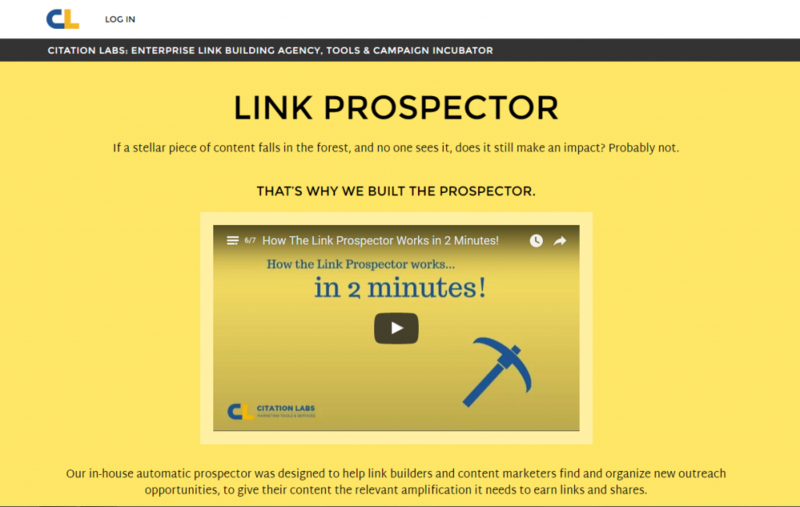 LinkProspector from Citation Labs: Highly recommended tool for finding outreach targets. Powerful tool for quickly building lists of potential link targets. Very affordable and gives a quick return on your investment for effective SEO link building. Free plan offers 1 credit (reports normally cost 1 credit) and pay as you go plan from $10 for 5 credits. Monthly plans start at $27 for Consultant and up to $97 for Enterprise. 13. 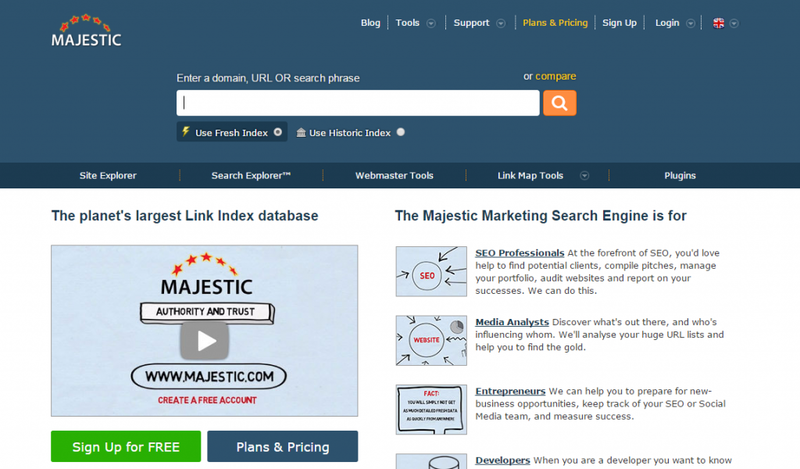 Majestic: The Majestic Marketing Search Engine is best known for the trust flow and citation flow metrics. The topical trust flow aids analysis of a site’s topical data for evaluating the semantic context of a site. Identify top ranking sites in your sector and use the trust and citation flow data, together with topical trust flow numbers, to try to create a similar profile. Plans range from £29.99 per month for Silver Quarterly to £250 per month for Platinum. 14. Mozz: Open Site Explorer: Useful for gaining insights into links that point to certain pages and also has a highly regarded Keyword analysis tool. Monthly plans start at $99 for Standard and go up to $599 for Premium. 15. 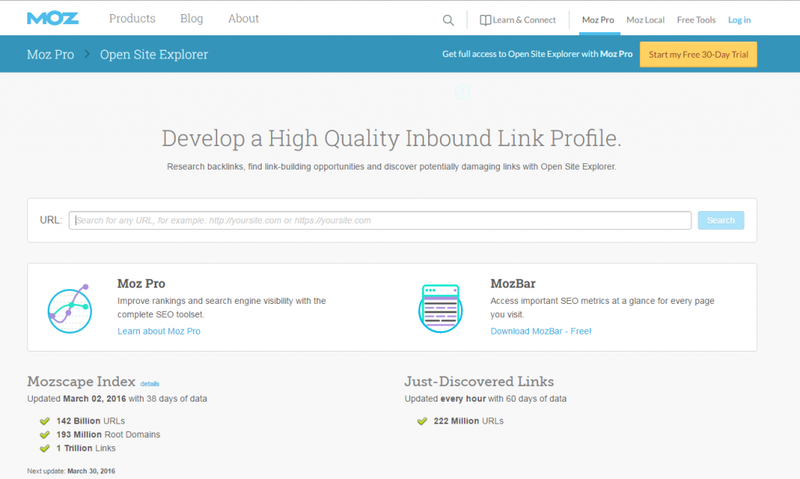 MyBlogU: A useful tool for blogs to establish new connections and backlinks. Facilitates knowledge sharing and you can choose between brainstorm, media and interview. The interview category can be used for creating interviews for you blog and for finding relevant projects to raise your profile. 16. NinjaOutreach: This is a comprehensive research and SEO link building solution which is designed to automate the outreach process. The tool offers a range of solutions from lead generation, finding guest posts, content promotion to link building. Offers 14 day unlimited free trial. Plans start from $69 a month for a single user and stores up to 1,500 contacts. The small agency plan costs $129 per month for two users and stores up to 5,000 contacts. The enterprise plan is priced at $599 per month for up to 10 users and stores up to 100,000 contacts. 17. 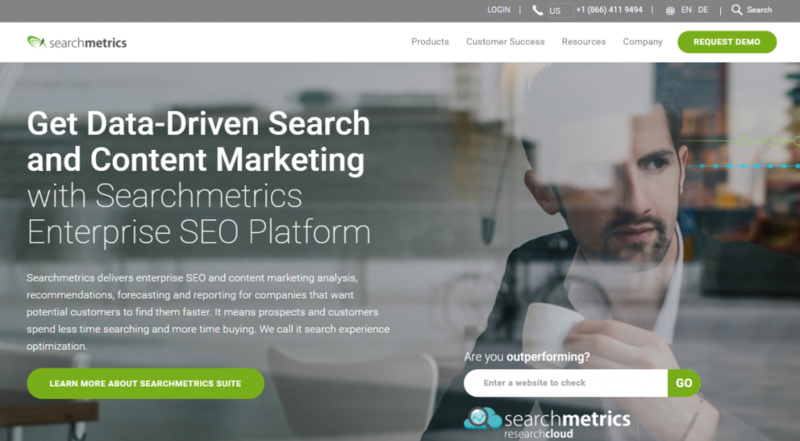 SearchMetrics: Enterprise SEO platform that will gather data on your website, with information about SEO visibility, backlinks and more. The graphs facility enables you to identify any algorithm issues by looking for any sudden changes in visibility. Use the keywords ranking to help identify the most relevant websites to target. The social ranking feature provides evidence of how well the social marketing is performing. Monthly plans start from $69 for Essentials and $2,000 for Suite Business. Contact SearchMetrics for pricing for Suite Enterprise and Suite Ultimate. 18. 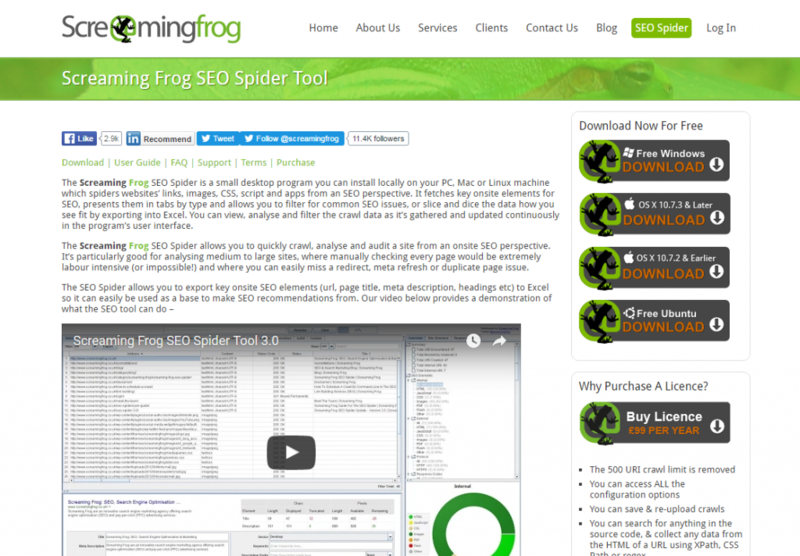 Screaming Frog: The Screaming Frog SEO audit spider allows you to quickly crawl, analyse and audit a site from an onsite SEO perspective. It’s particularly good for analysing medium to large sites, where manually checking every page would be extremely labour intensive. Probably the most well known and used SEO audit tool on the market. The Free standard Lite version allows you to crawl up to 500 URLs at a time, but does not give you access to the configuration, saving of crawls or the custom source code feature. An individual licence is available for £99 per annum. 19. 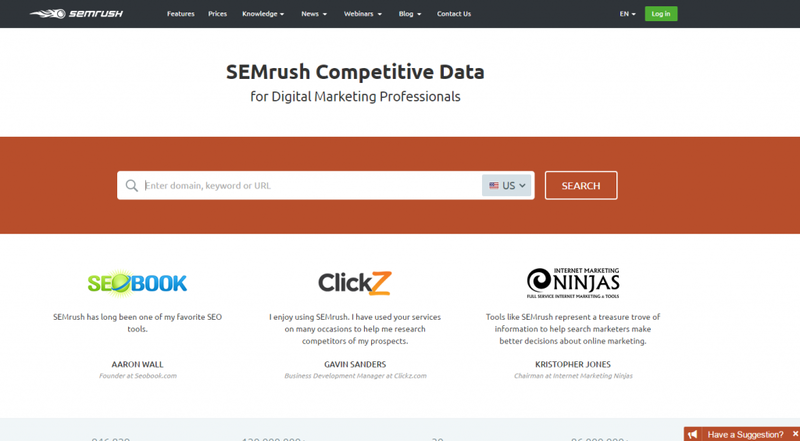 SEMrush: A comprehensive and popular SEO audit tool for checking the health of a site. As part of keyword research the tool is also used to identify which top sites rank for primary keywords. Monthly plans range from $69.95 for Pro to $549.95 for the Business plan. Seomator offers SEO analysis presented in 13 detailed reports that include useful charts, lists of on-page issues and bugs. The report also includes conclusions and how-to-fix tips. The reports can easily be branded with your company logo and information to ensure they look comprehensive and professional. This allows you to embed a SEO audit widget into your website and provide free white-labelled SEO reports with charts and conclusions to your leads. This will impress potential clients and allow you to understand client needs before you follow-up on a lead. This allows you to quickly see the difference between two competitive websites so that you can demonstrate your knowledge of a sector when you are first engage with potential clients. Plans start from $5 a month for 1 project a month and up to 100 URLs per project. The Small Business plan costs $19 per month for up to 5 projects a month and 500 URLs per project. The Professional plan offers up to 15 projects per month and crawls up to 1,000 URLs for $49 per month. The unlimited plan ($179 per month) sets no maximum for the number of projects and will crawl up to 1,000 URLs per project. 21. 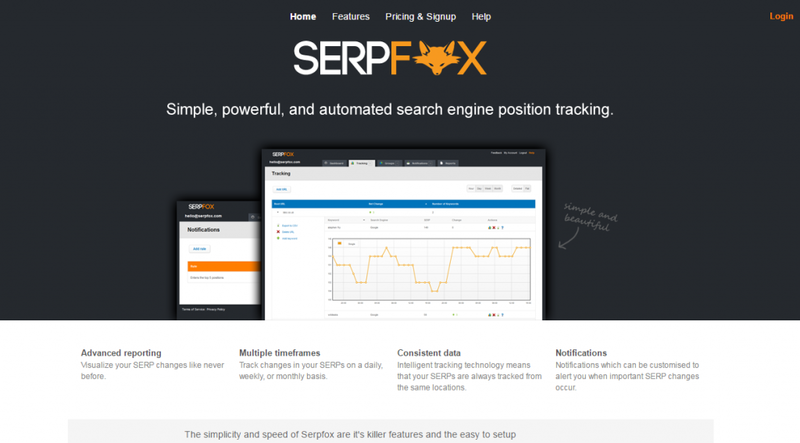 Serpfox: A useful keyword position tracking tool. Set custom alerts and receive emails to inform you whenever a search term you are tracking enters the top ten positions, exits the top ten or changes by more than ten positions. Monthly plans range from $10 for Starter and go up to $200 for Agency. 22. 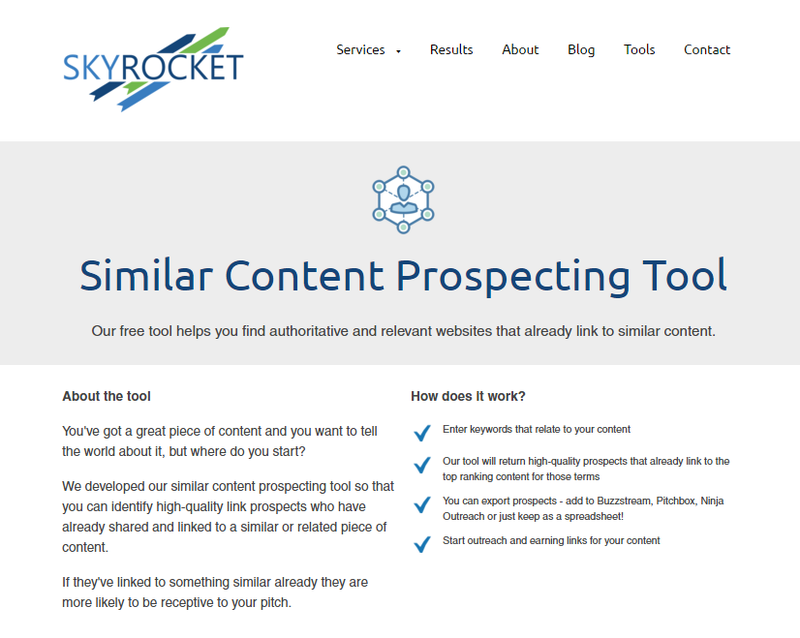 Skyrocket.Digital Similar Content Tool: A Free content promotion tool that helps you find authoritative and relevant websites that have linked to comparable content. This is a great prospecting tool as it allows you to target high-quality link prospects who have shared and linked to a comparable or related piece of content. Simply enter relevant keywords for your content. The tool will then list prospects that already link to the top ranking content on those terms. You can export prospects to your outreach tool or add them to a spreadsheet. Then you are ready to start your outreach campaign and earning links for your content. For more on link building tools check out 51 best link building tools and software in 2017. Thank you for reading my post. If you found it useful please share using the social media icons below. You can view my full Digital Marketing and Optimisation Toolbox here.